I Miss the Sunrise features a unique turn-based-strategy-style battle system with several interesting quirks. The purpose of battle is to defeat all enemy craft (represented in red) while protecting your fleet leader. A participant is defeated when its Hull, Systems, OR Pilot rating drops to zero. Some enemies are more resistant to certain types of damage than others, but all enemies have weaknesses that can be exploited by using the proper weapon, causing a Critical Hit. An enemy stuck with a Critical Hit will reveal all its resistances and vulnerabilities, take extra damage, and be pushed back in the queue. 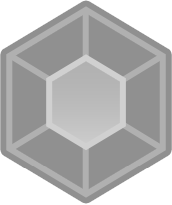 In addition, the Critical Chain will increase, causing "natural" critical hits to occur more frequently and slightly boosting the player's allies' damage and accuracy. The flow of battle is divided into Phases. At the start of each phase, all participating craft regenerate a little bit of health, the Zone of Control shifts a small amount, status effects may be cured, and the turn queue is repopulated. The turn queue determines turn order for all participants; the order is based on each battler's Action Time and how many AP were leftover in the previous turn. Other factors can occasionally influence the order, such as certain status effects and whether the player or enemy started the battle with an advantage. Another feature is the Zone of Control, which rewards the player for playing aggressively rather than "turtling" outside of enemy range. As the battle progresses, the Zone of Control shifts in one direction depending on how many units are still alive on each side and how close they are to the center. When the bar fills all the way in one direction, a Zone of Control Shift occurs, where the barrier in the middle moves in the shifting direction by one square, giving the other side less room to retreat to. In addition, damage and accuracy for the shifting side is increased, and decreased for the opposite side. Lastly, each enemy unit has a specific AI rating. The higher this rating, the more likely the enemy is to specifically target allies who are vulnerable to its weapon, to move in to boost the Zone of Control in its favor, to pick on targets with low health, and to retreat to the back lines when health is low. If combat is too difficult (or not challenging enough), the base AI rating for enemies can be easily modified at the red AI Console in-game.